Price wars and discounting aren’t just for Holidays anymore and they aren’t just for the US. Amazon Prime Day has instigated the latest spate of discounting. In the US that led to a $99 bundle for Google Home and Chromecast video on Google’s eBay store. It also resulted in a 50% price cut to Amazon Echo down to $89.99. We are seeing similar aggressive discounting in the UK. Google Home is £99 in a one day deal at Curry’s while the Echo is going for just £79.99 for Amazon Prime Day. This represents the lowest price recorded for Amazon Echo and the first time it was priced under Google Home in the UK. The Echo Dot also received a £15 discount to £34.99. Unlike in the US, Google Home is not being listed for a discount at Google’s UK store. Germany is also getting steep Echo devices on discount. On Amazon.de the Echo is going for 99,99€ and the Echo Dot is discounted to 44,99€. Google Home is not yet available in Germany. The lack of competition for Echo in Germany shows us the discounting is not entirely about competition. It is a strategy to drive adoption of price sensitive consumer. All of this discounting is about market share and earning consumer trust for each company’s voice assistant. 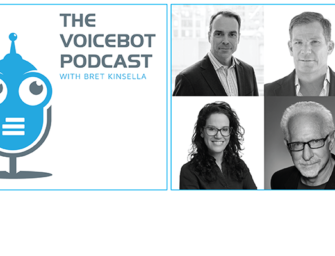 Bob Stolzberg, Chief Innovation Officer at VoiceXP commented on a LinkedIn post today, “Footprint wins.” Market share is a big deal because the larger the user base, the more developers will support the ecosystem and the more data there will be to improve the voice assistant AI. This is not about selling devices for profit. Amazon clearly wants to get as many devices in homes as possible. Higher sales spurred by discounting can help Amazon establish a commanding presence in the household to counteract Google’s and Apple’s strength in mobile and Microsoft’s ownership of the desktop. Amazon wants to start forming consumer habits around its devices. That cannot happen until users have devices to interact with. Thus, the removal of price obstacles to drive adoption. Amazon has an advantage as first to market with a smart speaker, but that isn’t really the important outcome. The goal is first to have scale in the market. That is when network effects will really help drive the Amazon ecosystem. We are already seeing this with Alexa’s calling and messaging features and the Echo Show. Both will offer added benefits to consumers when the user base grows. Such is the nature of a closed system with network effects. Amazon is determined to win the early market share battle even if it is clear that the war will be waged over several years.